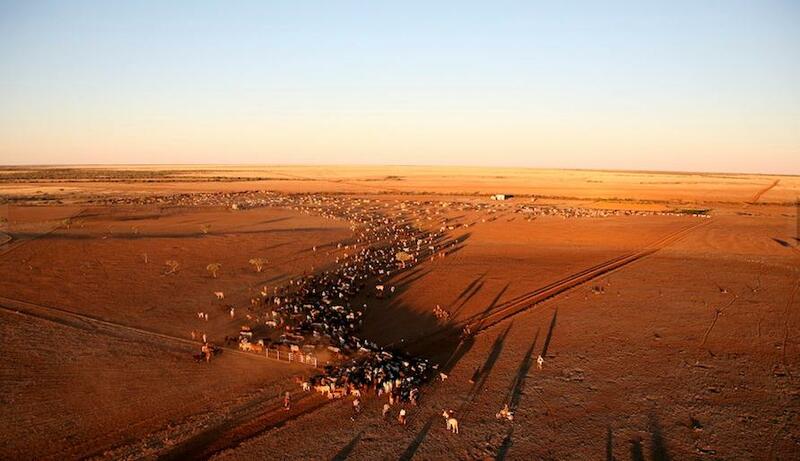 ONE of Queensland’s largest ever single-property transactions is about to be completed, with contracts due to be signed on Thursday for a $67.5 million purchase of showcase Central Queensland grazing property, Tumbar. Buyers are Peter and Jane Hughes and family, who continue to expand their already extensive Hughes Pastoral Co and Georgina Pastoral Co Wagyu and Certified Organic beef production streams, networked across the NT Barkly region, and northwest, northern and central Queensland. Covering almost 69,000ha, Tumbar (including an adjacent holding, Marsden, included in the deal) sits in a patch of exceptional buffel grass country in the Jordan River Valley, just south of Jericho. The country is fully developed brigalow/belah softwood scrub, carrying a big body of feed. Vendor Bevan Doyle, whose family has held Tumbar for two generations, has had the property for sale, in an ‘off-market’ fashion for the past ten years, Beef Central understands. Many large corporates and larger scale private operators, including Consolidated Pastoral Co have made inspections, but none have to this point been able to come to terms. Beef Central understands that Mr Doyle has basically had the same $70 million asking price on the holding for a decade. The catalyst for the imminent deal with Peter and Jane Hughes, is simply that the rising market has finally caught up with his considerable price expectations – or at least come close enough to seal a deal. The purchase agreement included 8000 high quality Angus cattle, including 5000 breeders, valued at about $10m. It values the country at about $345/ac or $852/ha bare. The intention is to inject Wagyu genetics into that base, if some breeders are retained. In full production, the Tumbar holding will run 16,000 or 17,000 cattle. The Doyle family has strong connections with earthmoving equipment – Bevan Doyle’s father apparently originally walked a D8 dozer up from NSW to begin clearing work in central Queensland – leading to the high-standard of development of the holding. In terms of Queensland property values, the only previous holding to come close is Glenprairie on the Central Queensland coast, but that deal done years ago included multiple parcels of land. The Hughes family told Beef Central they plan to convert Tumbar to Certified Organic production, to complement their existing organic operations at Caldervale, neat Tambo, and 8500sq km Lake Nash on the Barkly Tableland. Tambar’s location makes it within striking distance of the Certified Organic licensed Teys Biloela export beef plant, under transport distances to still qualify for MSA grading. The property will act as a backgrounding and finishing depot for conventional and Wagyu cattle bred by Hughes Grazing further west and north. Peter Hughes says Hughes Pastoral and sister company Georgina Pastoral’s bigger-picture plan is to avoid the commodity markets wherever possible, instead filling higher-value beef niches – either certified organic, or Wagyu. Tumbar will play an important role in integrating into that program. “There may even be a niche for Certified Organic grassfed Wagyu at some point,” he said. “I’m not aware of anybody doing it yet, but there’s no reason why it could not happen. But there’d have to be a market developed for it first,” he said. Hughes Grazing has continued to expand its northern grazing operations over the past five years, buying Argadargada, next to Lake Nash four or five years ago, and Mt Lindsay, near Tambo, now run as part of Caldervale. 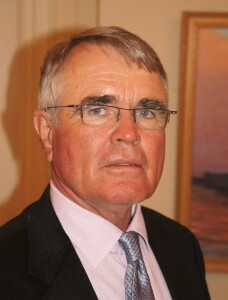 Western Livestock (Wally Cooper) has held the listing on Tumbar for the past ten years, and the agency was involved in the sale. Congratulations Bevan. Brings back memories of 1962 when your Dad was clearing full on. Old Tiger Moth days !!!!! congratulations both parties. A wonderful result for a wonderful property. Congratulations to Peter & Jane Hughes and their family. Congratulations to both Vendor and Buyer, a great result for the industry. Congratulations Bevan, a great result.